2 layer board of 1.86 x 1.31 inches (47.1 x 33.2 mm). Uploaded: February 20th, 2016 08:27. A 7-segment display module with shift register interface. 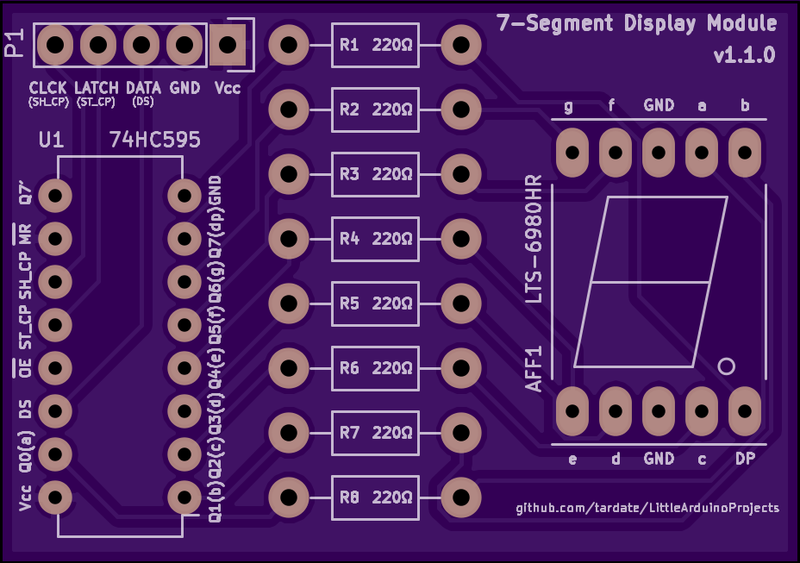 This is my version of project 2 from the KiCad like a Pro course from Tech Explorations. 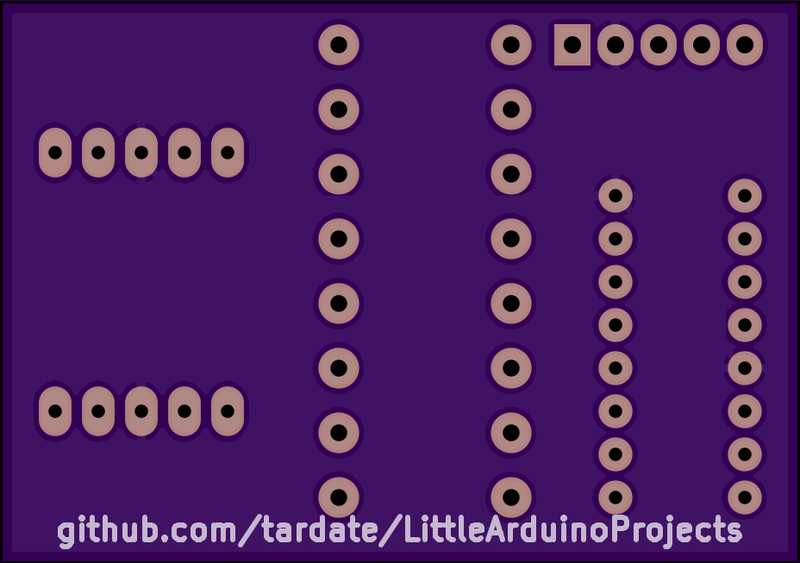 See tardate/LittleArduinoProjects for more info.